Everyone has the right to feel safe living, working and worshipping in their daily lives. But for too long our political leaders have tried to divide us for their own gain, scapegoating migrant and refugee communities and allowing hate to grow in Australia. 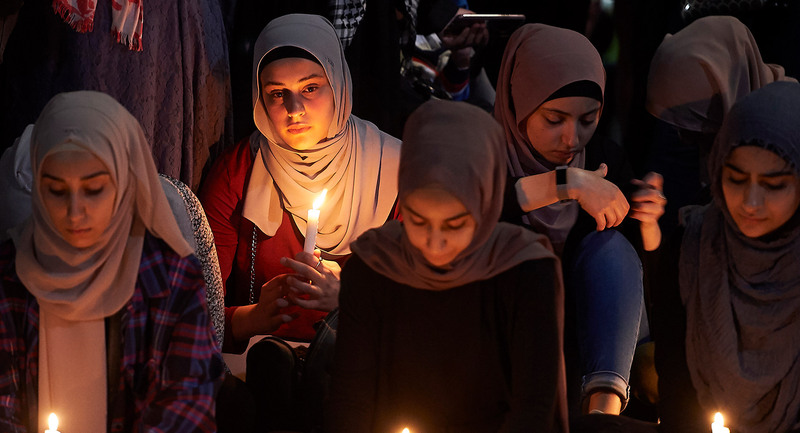 In the wake of the hate-fueled murders in Christchurch, there are many Australians who no longer feel safe and welcome in their own communities. This is unacceptable and it needs to change. The words and actions of our political leaders matter. We’ve seen in New Zealand that brave and authentic leadership can unite people around shared values of human rights, justice and equality. On the other hand, poor leadership can divide us and allow hatred to spread. Across Australia, ordinary people are already leading by example, building genuinely inclusive, diverse and welcoming communities from the ground up. From Albury to Fremantle, Amnesty is working with local heroes to get their councils to say yes to welcoming more refugees through an improved Community Sponsorship Program, where people pool resources to help bring individuals and families to safety. This is just one example of positive grassroots action among many. Now it’s time for our political leaders to step up and do the same. We want to see our major party leaders build a more inclusive Australia, in both words and action. It’s time for a new kind of leadership that unites us all. When tens of thousands of voices all speak together, they are heard loud and clear. Will you call on Prime Minister Scott Morrison and Leader of the Opposition Bill Shorten to take a stand against racism in both words and actions, and build a more inclusive Australia? I believe that we must tackle racism in our communities and commit to building a more inclusive and welcoming community. We must stand united behind more welcoming and inclusive cities and towns, not divided by hateful and divisive rhetoric. Actively welcoming diverse voices in our decision making. I ask you to take a stand against racism, and step up with your neighbourhood in celebrating and nurturing the goodness that exists in our Australian communities.